Former UCLA offensive lineman Conor McDermott participated in his on-field workout at the NFL Combine on Friday, finishing among the top five performers at his position in the 3-cone drill and 20-yard shuttle. The 6-foot-8, 307-pound McDermott ranked third among offensive linemen in the 3-cone drill with a time of 7.52 and fourth in the 20-yard shuttle with 4.48 seconds. 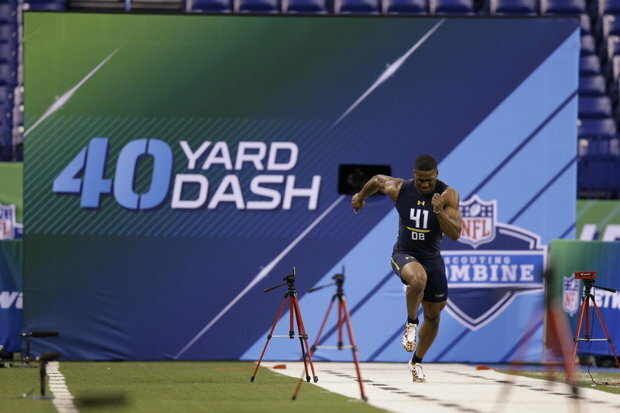 His 5.18-second 40-yard dash ranked 13th at his position while his 28.5-inch vertical jump ranked eighth. McDermott also had an 8-foot, 9-inch broad jump, which did not crack the top 15. Jayon Brown, Eddie Vanderdoes and Takkarist McKinley will have their on-field workouts on Saturday, while Fabian Moreau is scheduled to workout with the other defensive backs on Sunday. You can watch the workouts live on NFL Network. 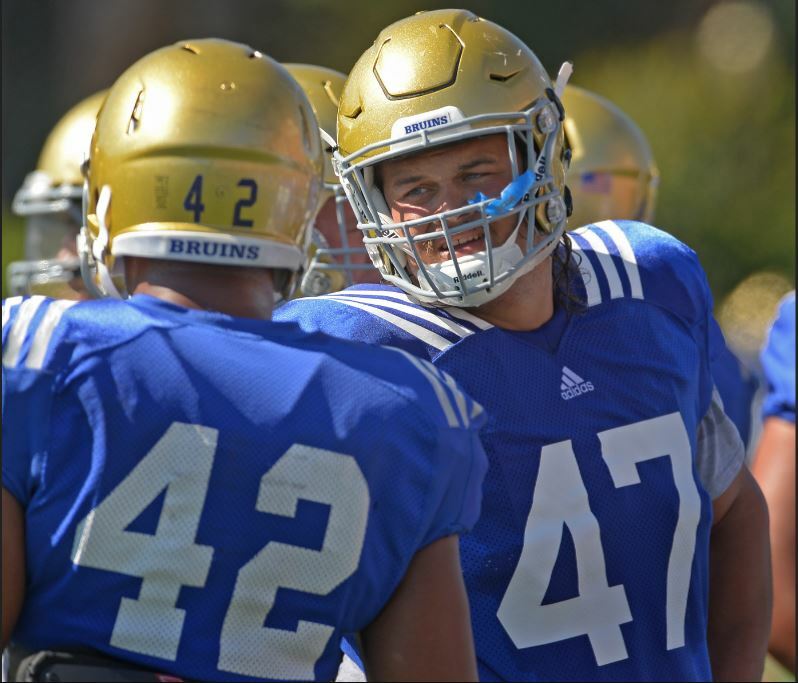 Five former UCLA football players received invites to his month’s NFL Combine, the NFL announced Wednesday: linebacker Jayon Brown, offensive lineman Conor McDermott, defensive end Takkarist McKinley, defensive back Fabian Moreau and defensive lineman Eddie Vanderdoes. The combine begins Feb. 28 in Indianapolis with 330 total participants. McKinley is a potential late first-round draft pick by many mock drafts after he led the Bruins in sacks and tackles for loss last year. Vanderdoes was the only player to declare for the NFL draft early this season after the redshirt junior came back from an ACL injury and started 12 games with 29 tackles against constant double teams. Going into the Senior Bowl, Vanderdoes told Sports Illustrated that he had lost 20 pounds since the end of the UCLA season when he played at 340 pounds. An impressive showing at the East-West Shrine Game helped Moreau boost his draft stock as NFL Network analyst Daniel Jeremiah said he was “not going to be shocked if Moreau goes in the first round.” He was the No. 47 prospect in Jeremiah’s top-50 list last week.